Is that spooky, or what? I have written to Jo Tenner, and to James Merlino (Labor) and to Matt Mills (Liberal) with my questionnaire based on Your Vote, Your Values. Apparently, James (the currently sitting member, a Catholic in good standing and definitely pro-life), would need a swing against him of 6.8% if he were to lose the seat. That doesn’t sound likely, but who knows what havoc the Greens vote might cause in Victoria this year. (BTW, self-disclosure: I am usually a Liberal voter – decision will be more difficult this year). 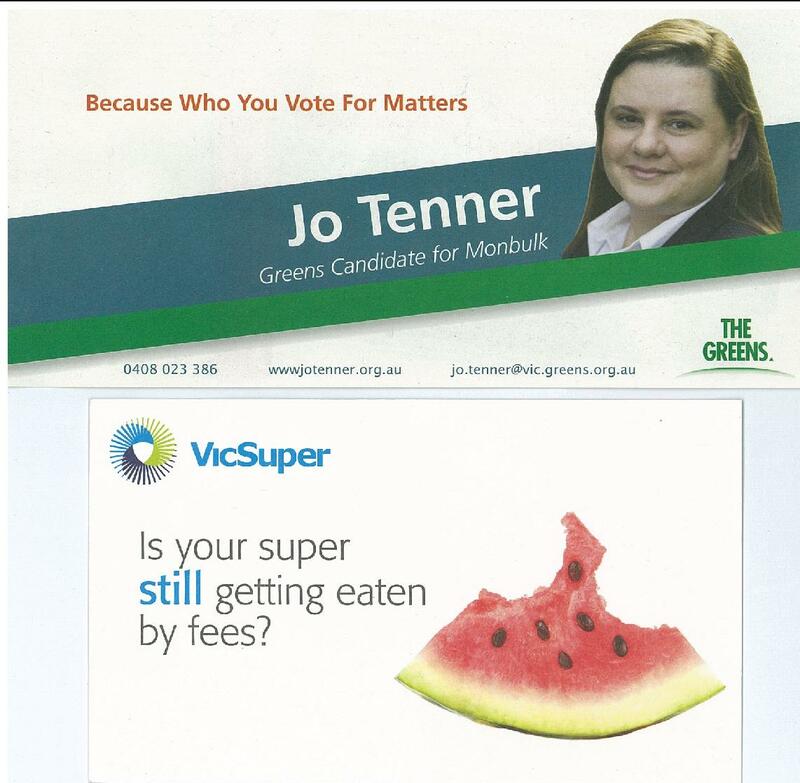 I do think I need to say one thing about the Greens, though, just in case you might take me for a melon-smasher. I thoroughly get the fact that Greens candidates and supporters are sincere in their beliefs and are committed to doing what they believe to be the “right thing”. I was saying to DLP Senator Elect John Madigan on the phone yesterday morning (he rang me) that I believe we do the Greens a discourtesy if we treat them as if they were dishonest in their motives, or as if ethics and morality did not count for them. 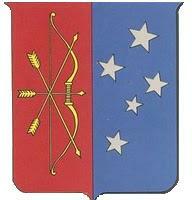 In fact, I believe they are almost as fanatical and zealous in their moral beliefs as we Catholics are. Where we differ is not in our moral sincerity and honesty, but in what we believe to be “the right thing”. Our argument against the Greens should therefore not be an ad hominum attack, but an argument about issues. “The Greens stand for funding preventative Healthcare and early intervention in Mental Health services as well as making sure Ambulances, GPs and Hospital Beds are available where and when you need them. •strengthening preventative and early intervention measures [for mental illness], and committing sufficient resources to enable effective treatment? So some of their policies are good, and some of their policies are ones that Catholics can support. The problem is with with those other policies, the ones on matters of human life and dignity from conception to natural death, on marriage and family, and on the freedom of religion and Church/State relations. I have a lot of respect for Greens candidates. They stand for what they believe in. I like that. I also like watermelons. I just don’t like the pips. Was ‘in good standing’ just a throwaway line? What does it mean? Are there any Catholic politicians not ‘in good standing’? If so, on who’s say so? Was ‘in good standing’ just a throwaway line? What any reader of English would take it to mean. Same as what a “Lions Club member in good standing” would mean. Are there any Catholic politicians not ‘in good standing’? I would say so, wouldn’t you? If so, on who’s say so? What any reader of English would take it to mean. 1.The status of a member of a profession who is not suspended or disbarred, and is registered with a proper authority and has paid any registration fees. 2. (by extension) The status of a person who is known to be of good character and to be trustworthy. It seems to me that if you take the first meaning, it’s something quite objective and demonstrable. In the second, it’s a matter of opinion and may reflect on the opinion-giver as much as the subject of the opinion. Same as what a “Lions Club member in good standing” would mean. I assume (I’m not a Lion, so I’m guessing) that a member not in ‘good standing’ would be told so by a person of authority so that other members would know. It’s not my term, so I can’t really say. Years ago I was lucky enough to visit Asia. I came across a melon-like fruit called ‘Jackfruit’. The Asians we met said it was the best. Westerners said it was like eating strawberries in a toilet, ie, it smelled really bad. I couldn’t bring myself to try it. I don’t really like apples either. 1. At election time, they are not always honest about their upcoming agenda for the political term. A classic example is at the last Federal election, they did not really outlay that euthanasia was their number one policy initiative to be actioned over the upcoming governing term. Sure many voters knew that the Greens have euthanasia on their policy platform, but I am not sure if they truly knew it was their highest priority ahead of other environmental issues for the upcoming next term of Parliament as has been quoted in the media in recent times. In this case, the Greens are not 100 per cent honest. 2. I HATE their arguments once cornered that they are somehow in tune with Christian ethics. Bob Brown was even on record that he thinks he is more in tune with Christian values than our Cardinal Pell?? I don’t see why the Greens just can’t freely admit that on many issues Christians and Greens do not have a lot in common and leave it that, instead of playing dishonest games that the two are somehow compatible. 3. Have you ever had a genuine conversation with an ardent Green supporter on anything? Well from my experience, it is like talking to a wall. On just about any issue, they are militantly behind their issue and are not even willing to listen to the alternative position. Well that is my experience and I am sure it can be seconded. This is quite sad as I have seen many examples of Catholic social justice groups bending over backwards to at least accommodate some sort of Green view or to find some sort of middle ground. In reality, this approach doesn’t work. One cant ‘Christianise’ the Greens – we would be better if we simply acknowledged our differences and moved on. I think all politicians can be a bit evasive, especially near election time, but the Greens are clearer about their hopes and goals than the major parties. For example, on the policy of a carbon tax, Julia Gillard has backflipped on her backflip, so we have to wait to see where she ends up when the music stops. I don’t know what its like in Victoria, but in Canberra and NSW, it is hard to work out what the major parties stand for. Julia Gillard seems to be only interested in processes, and doesn’t do the “vision thing”. As she says herself, she is more at home in a school classroom than talking about international affairs. Here in NSW, Labor is doomed and Barry O’Farrell will be premier next March. Only the proverbial bus can stop him, the voters here are busy oiling their collection of baseball bats to hit Labor with. So it doesn’t really matter what policy anyone talks about before March. I suspect that part of what is going on in the public discourse about the compatibility of Christianity with support for the Greens is actually a turf war within Christianity. Bringing Christian faith to bear in public affairs obviously involves a huge range of prudential judgments, which is why Christians can, faithfully and sincerely, hold a wide variety of political positions, and can oppose one another politically. It’s clear that on some issues the Greens are close to the faithful views of many Christians – development aid, public housing, stewardship of the environment, the treatment of asylum seekers. Indeed, on these issues many Christians may find them much closer than either of the major parties. Obviously on other issues Christians may be repelled by the Green position. In casting a vote, though, we don’t get to vote issue-by-issue. The policy positions of a party which appeal to the voter need to be weighed against those which he dislikes. This involves a large number of prudential judgments about the relative priorities of particular policy positions, about the likelihood of particular policy positions actually being implemented, etc. It also involves judgments of principle about whether particular Christian values ought to be enforced by the power of the state. It seems to me that those who argue that support for the Greens is incompatible with a Christian ethical position are tacitly claiming that a particular Christian ethical position, based on a particular set of judgments, is normative and authoritative, and that others are less so. The target of these arguments is not just the Greens, but also – and perhaps even more – those Christians whose ethical judgments allow them to support the Greens. 1. keep holy the day of the Lord’s Resurrection: to worship God by participating in Mass every Sunday and Holy Day of Obligation: avoid those activities that would hinder renewal of soul and body, e.g., needless work and business activities, unnecessary shopping, etc. 2. lead a sacramental life: receive Holy Communion frequently and the Sacrament of Penance regularly. – minimally, receive the Sacrament of Penance at least once a year (annual confession is obligatory only if serious sin is involved). – minimally, receive Holy Communion at least once a year, between the First Sunday of Lent and Trinity Sunday. 3. study Catholic teaching in preparation for the Sacrament of Confirmation, be confirmed, then continue to study and advance the cause of Christ. 4. observe the marriage laws of the Church: give religious training (by example and word) to one’s children; use parish schools and religious education programs. 5. strengthen and support the Church: one’s own parish community and parish priests; the worldwide Church and the Holy Father. 6. do penance, including abstaining from meat and fasting from food on the appointed days. 7. join in the missionary spirit and apostolate of the Church. And yes, I’d say there are a number of people in politics who call themselves Catholic and don’t manage to observe even the letter of these minimum requirements. I wonder, then, how we can possibly claim that any figure in public life is a Catholic “in good standing”? How could we possibly know? More to the point, how could we think that it is are place to pronounce such a judgment, in public, on anyone? More to the point, how could we think that it is our place to pronounce such a judgment, in public, on anyone? Very much to the point, Pere! Especially in the context of suggesting we avoid ad hominem! And others too, I suspect, who observe these kinds of requirements — for all to see and to the letter — who are anything but Christian. And it may be that your ‘requirements’ are what David had in mind with his definition — ie, ‘What any reader of English would take it to mean’ — but it’s not that obvious to me. It seems to me that the definition of ‘a Catholic in good standing’ is not that objective, but reflects on the person using it. It’s a bit like ‘politically correct’. relativism displayed by the acatholics. Hmmm. When the soon to be ex-Speaker of the House Nancy Pelosi quite openly expresses her support for abortion, is it all that difficult to figure out that she is in opposition to what the Church teaches? As far as being good caretakers of the earth that God has privileged us to live on, “Green” parties have my full support. The good fruits of the earth must be available to all and we should protect the wonderful diversity of species on the planet. On life issues, i.e., the unborn, the elderly, etc. they do not. From the earliest days of the Church protecting the unborn and the elderly were positions that separated Christians from the pagan Romans who had no problem with disposing of both. How Pelosi will be judged in the eyes of God is not my business but her public dissent from Church teaching is just that and should be named as such. My question is not about judging that people are not “Catholics in good standing”, but about judging that they are. If the criteria that joyfulpapist suggests are correct, then in most cases I don’t think we can know. More to the point, it is not our business to pass such a judgment. Ah, but making judgements of politicians IS our business, and we will all (all Victorians, anyway) be doing that on November 27. In assessing candidates who wish to be our representatives in the legislative assemblies of our State, we have every right to judge and scrutinise who they are, what their values are, what their vices and virtues are etc. We elect individual people to this task, and by putting their hand up for the job, they actually invite us to pass judgement upon them: is this person someone I want to represent me. Now, just as voters are not required to park their religious convictions at the door of the polling booths, so too candidates come as a whole package. Their religious standing is no different from their standing in any other aspect of their engagement with our society: it is a legitimate factor to take into account at the time of voting. If a candidate puts himself forward as a member of the Lions Club, but rarely goes to a Lions Club meeting, hasn’t paid his membership dues and doesn’t actually support what they stand for, I would want to say “This person is not who they say they are; they say they are a member of the Lions Club but they actually are not a member in good standing.” On the other hand, if a candidate claims he is a Lions Club member, I can check on that and find out “Yes, he is a member in good standing. He has paid his dues, he does go to the meetings and he does support what the Lions Club stands for.” If it is important for me that my political candidate is a member of the Lions Club (and this might sound like a complete irrelevancy to most voters, but if it is important to me that’s quite legitimate for me to use it as a basis for me to decide whether or not I want to vote for him), then this is an important judgement for me to make. I see this as analogous to the question of whether or not a candidate who claims to be a Catholic is actually a “Catholic in good standing”. Mr Shutz thankyou. So straightforward I don’t see how anyone could not see that. Peregrinus: abortion, euthanasia, and gay ‘marriage’ make it easy to rule out the Greens because these things are part of their policy platform. The reality of abortion swamps every prudential judgment a Catholic could conceivably make when determining their vote. My point, David, is that while you may possible know that someone is not a Catholic in good standing, if you use joyfulpapist‘s criteria you cannot possibly know that he is. When you try to find out what Nancy Pelosi believes you have to filter through the plethora of pro-life sites that condemn her, mock her, send her up, etc, etc. I found one reference to her meeting with PB16 here. In that report you get very different perspectives about the tone and content of that meeting BUT there is no suggestion, no hint, from the Pope that Nancy Pelosi is not a Catholic ‘in good standing’. Another example shows Cardinal Egan (plus others) being very critical of Pelosi here. You couldn’t describe that criticism as ambiguous, but, again, there is no suggestion or hint that Pelosi is not ‘in good standing’ with the church. Which gets back to my point that a phrase like ‘not in good standing with the Church’ is a personal opinion wrapped in authoritative language. When I think about the Greens, I always think about that verse in the Bible about the end times, there will many false prophets that will decieve others. Dr. Eamonn Mathieson is the head of the Catholic Doctor’s Association of Victoria. The proceeds from his talk will go to Mater Care, an international organisation which aims to improve maternal health in underdeveloped countries. The charge for the talk is $10 per person and we have some red and white wine as well as cheese and biscuits.